Planning the details of hosting your next art exhibit can be overwhelming. You want the show to be a great success. With everything you need to take care of, be sure you remember to insure yourself and your company with special event insurance. If this is your first time hosting an art show, you may wonder what could go wrong at such a relaxing event. Plenty, as it turns out. Special event insurance is short term insurance that covers special events like art shows and festivals, and a myriad of other short term events such as concerts, golf tournaments, fairs, ceremonies, among others. Your contracts with the event facility and any independent contractors you hire may require that you maintain specific types of special event insurance as a condition to doing business with you. Here is a list of eight of the common types of special event insurance coverage available and the benefits they offer. This coverage protects you against damage claims arising from someone suffering a bodily injury or property damage at your event. Optional medical payments coverage provides even more coverage for third party injuries requiring medical care. 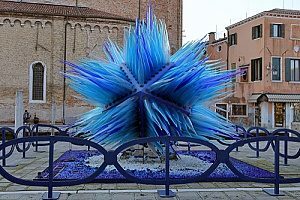 Benefits: If someone trips over a table leg holding a sculpture exhibit, falls, knocks an expensive piece of art onto the floor and damages it, and suffers a broken ankle, general liability insurance covers you for the damage. The medical payments coverage will pay for the medical care required for the broken ankle and loss of the injured person’s income due to the injury. Benefits: When you rented the facility, you may have had to post a security deposit to cover damage. You can lose your deposit to cover the damage, and be liable for more if it is not enough to cover all of the damage. This insurance can cover most of it. If your show will be under a tent outdoors or a temporary gazebo, protect yourself against damage and injuries caused by the collapse of the structure. Benefits: The collapse of a temporary structure is not a rare occurrence. The tent may have been improperly rigged. A gazebo may have been improperly assembled. A panel display may have been improperly anchored. These structures present a hidden danger to the attendees. If you plan to use a tent, consider that it could collapse when it is full of valuable artwork and event attendees. The tent may be damaged and need repair, people will likely be injured, and artwork and any vendor products can be damaged, resulting in significant costs to the host. Without the coverage, you likely will be liable for all or part of these costs. Accordingly, if your art show will use a temporary structure of any kind, this coverage is well worth it. Some amount of premises liability coverage will be included in your general liability policy. This option provides additional coverage over the limits of that already provided. Think fires, floods, and the kind of events that can cause significant damage to the facility you will be renting. Benefits: You can use this optional policy to increase the limits on your coverage. That way, if someone drops a burning cigarette or knocks over a candle and sets fire to the facility, this policy protects you against the costs of repairing that damage. Excessive alcohol consumption creates significant risks of accidents at your event. Understand the difference between liquor liability insurance and host liquor liability coverage. Liquor liability provides insurance for the event host against bodily injury or property damage suits brought by parties whose injuries arise from actions of an intoxicated event guest. Host liquor liability coverage applies only if there is no money exchanged for alcohol or alcohol products. If people will have to pay for alcoholic beverages or products, host liquor liability coverage does not apply, only liquor liability coverage will provide the proper protection. Benefits: If you will offer any alcoholic beverage or product at your show, you should insure yourself for these risks. You could be defending yourself against liability for damages caused from contributing to someone’s DUI accident after the show. You cannot rule out the possibility of an act of terrorism at or near your event that results in tragedy. Benefits: With terrorism coverage, you can at least be comfortable that you have taken steps to cover expenses resulting from damage caused by a terrorist act. 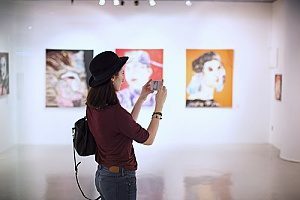 When the host/event holder rents a facility for an art show, the facility owner may require the host to indemnify the facility against any damages incurred for bodily injury or property damage arising from the negligence of the host/event holder. Benefits: This policy will cover the host/event holder against this kind of contractual liability, including legal fees and costs associated with a defense. Sometimes, an event has to be cancelled due to unforeseen events. Cancellation can result in significant loss and hardship. Benefits: Without event cancellation insurance, the host may be liable for some of the financial losses suffered by event sponsors, participants, and vendors. Also, the host stands to lose the opportunity to raise a significant amount of funds based on expert projections. With event cancellation coverage, you may be able to recoup those lost opportunities and cover some of the costs. As an example of what can go wrong, one reported case involved a fire that broke out near a golf club two days before the event. The event had to be cancelled because of lingering smoke, polluted air, and dangerous conditions. Special event insurance is very important. 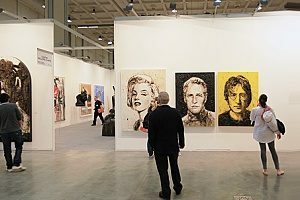 You should contact an experienced entertainment insurance broker for more information about the right kind of special event insurance for your next art show. Previous Post: « What is the Best Kind of Insurance for My Next Concert?